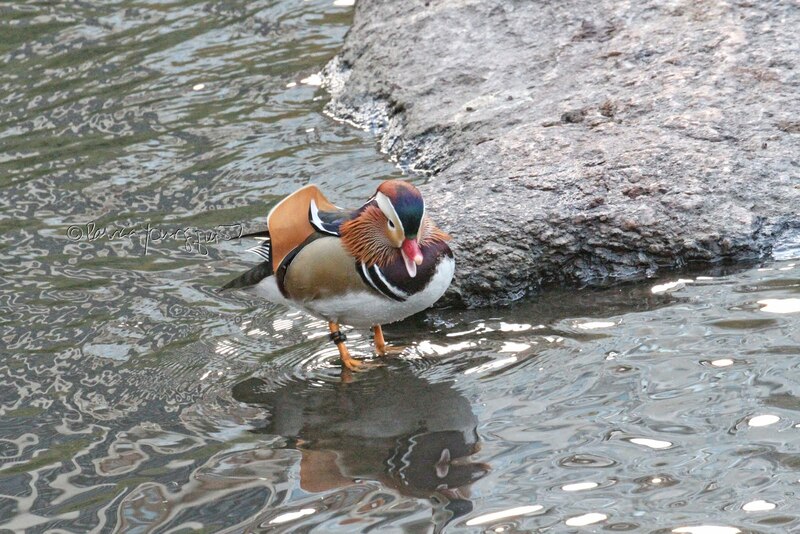 when I was in Central Park this past Friday. 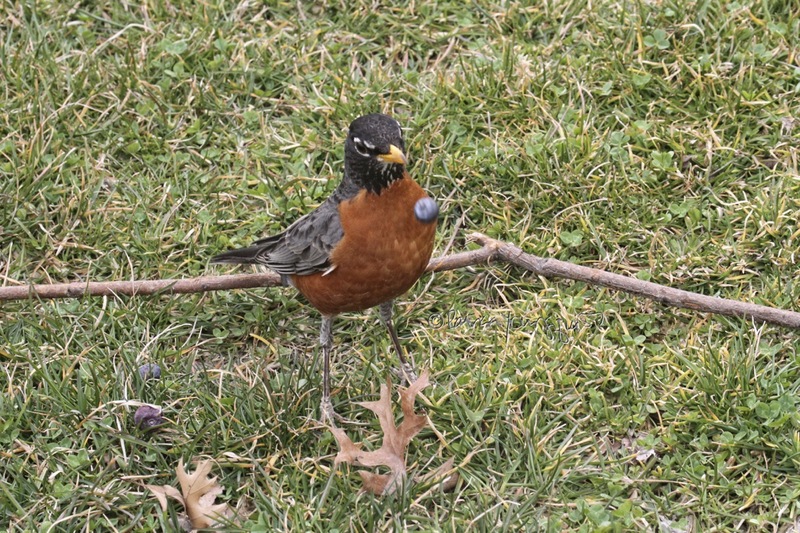 I was on my way to the Eastside when I came upon this sighting and it gave me much pleasure, which was a blessing because I was not feeling up to par physically. 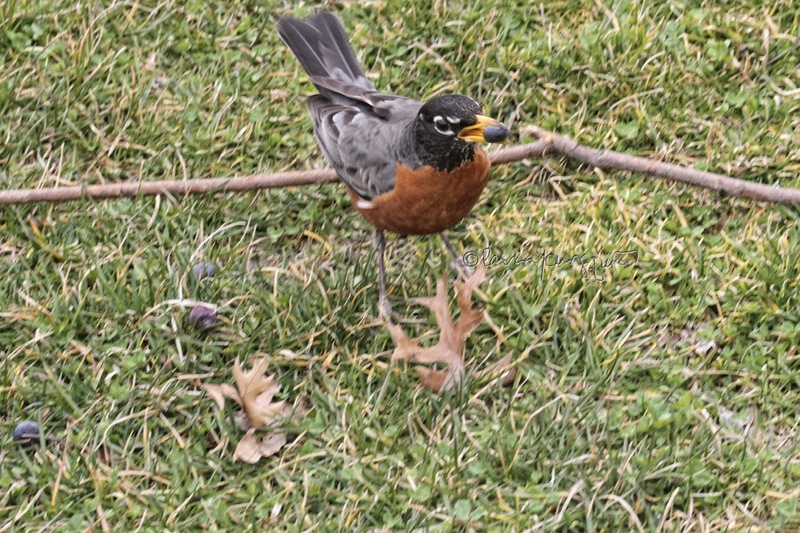 I also was feeling very despondent and full of regret. 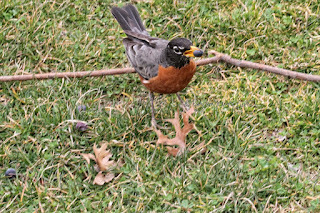 Within a few days I realized how blessed I am to be amused by what most would call a little thing (seeing a robin drop a berry). 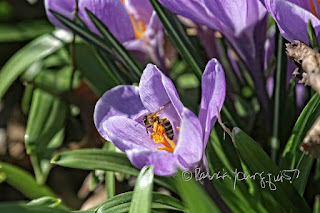 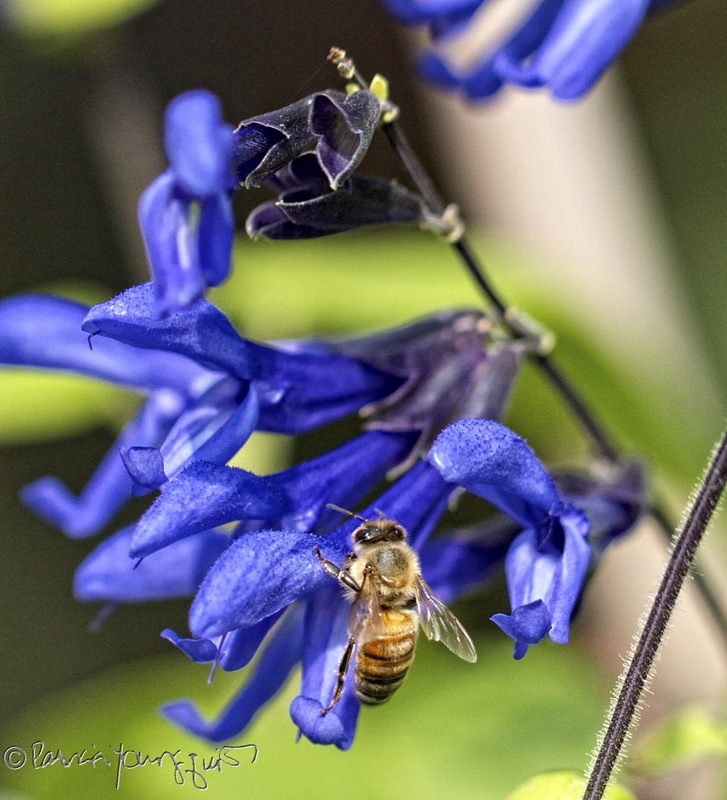 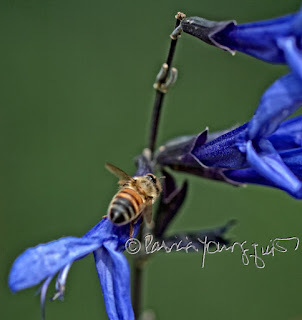 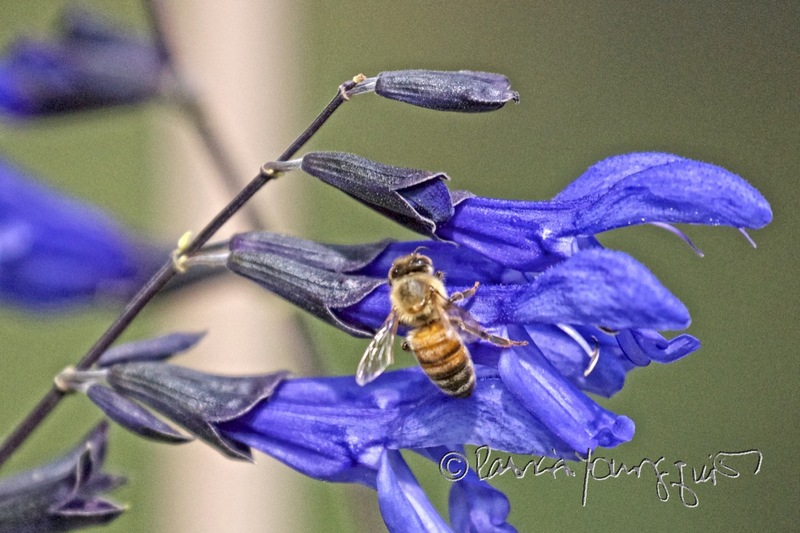 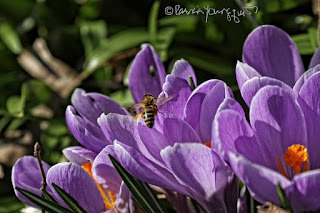 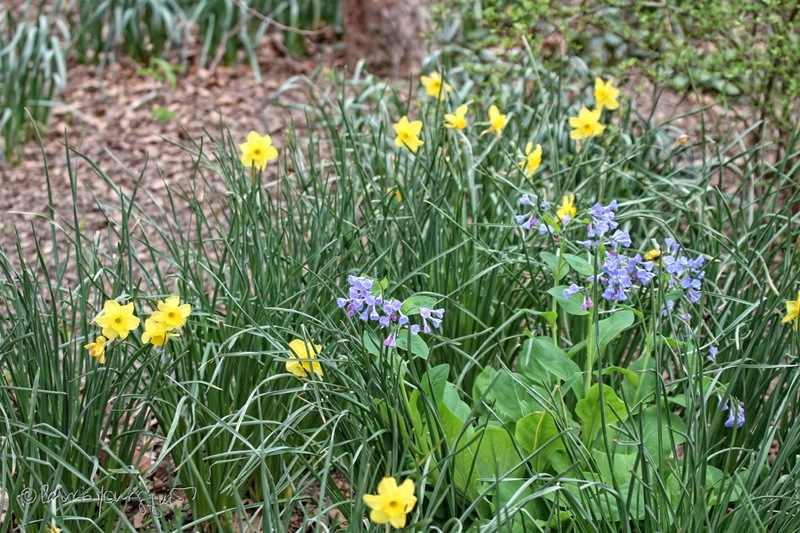 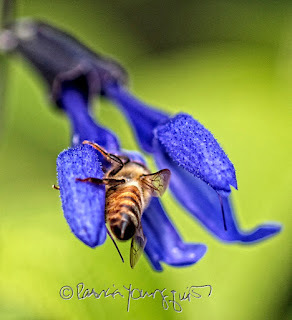 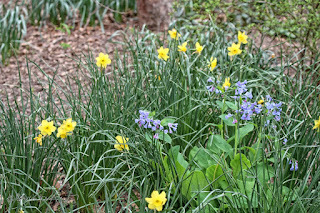 and unlike Dickinson, I can bear the bees (alighting on the Black and Blue Salvia in my garden as well as enjoying crocuses in Central Park). 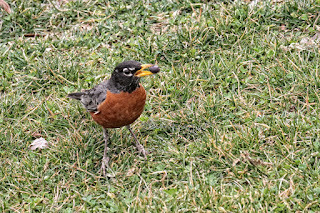 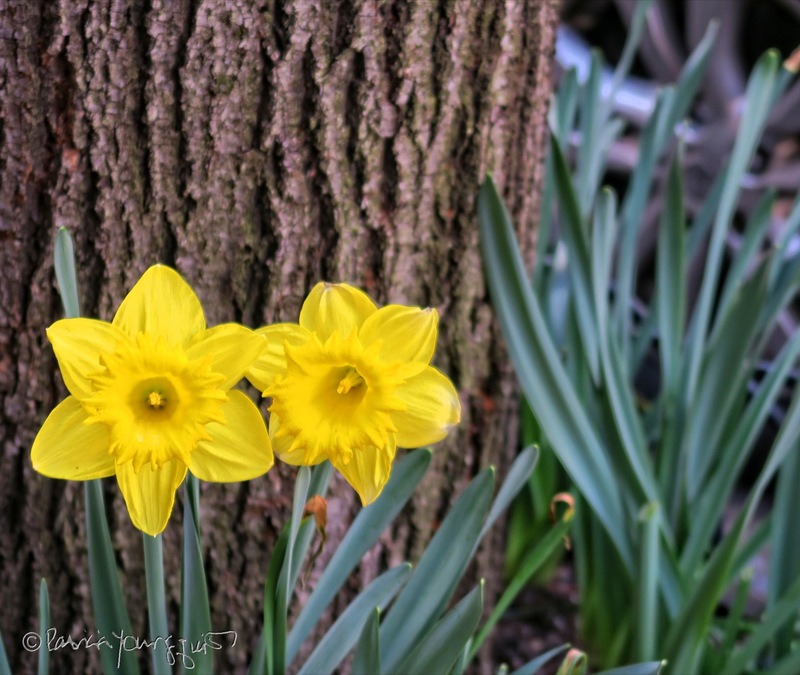 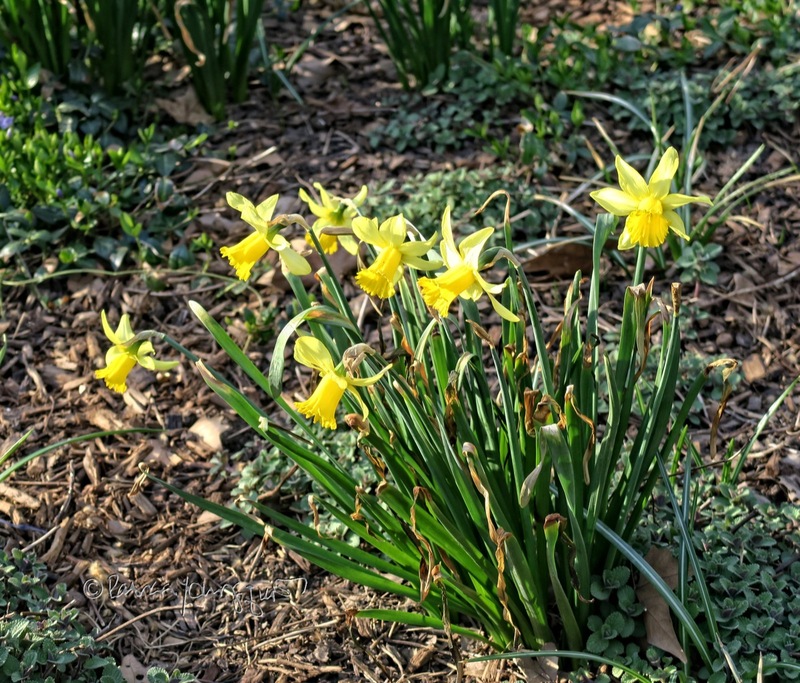 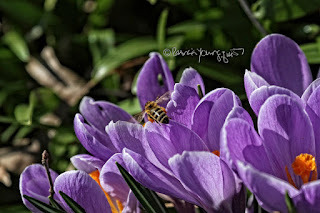 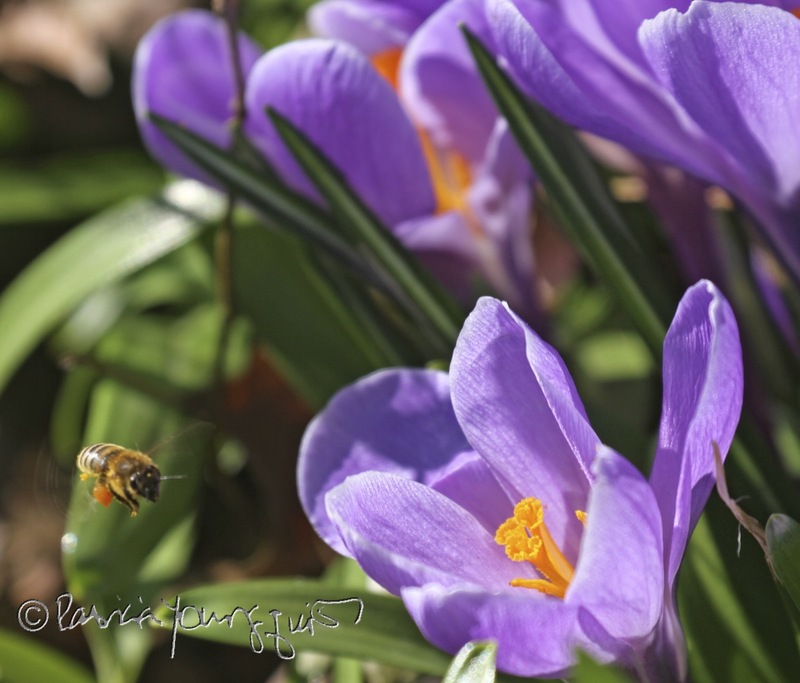 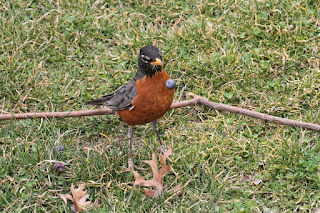 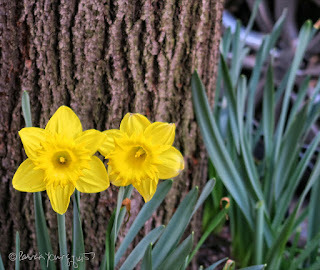 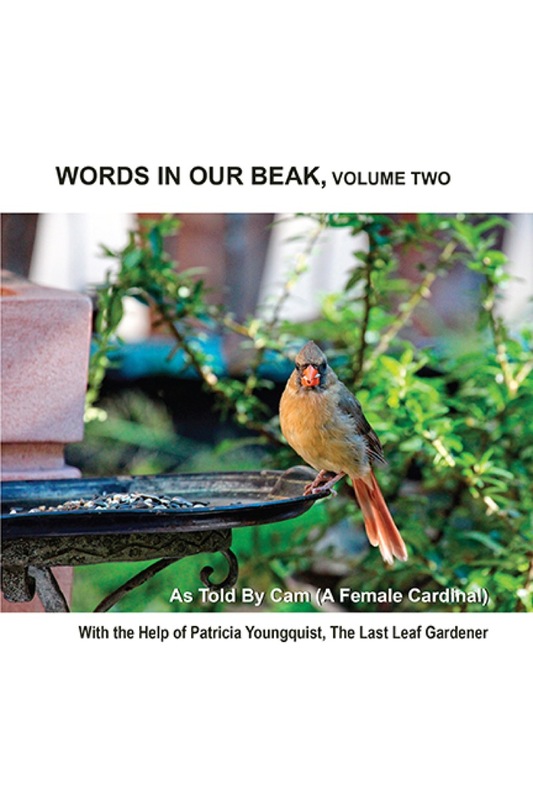 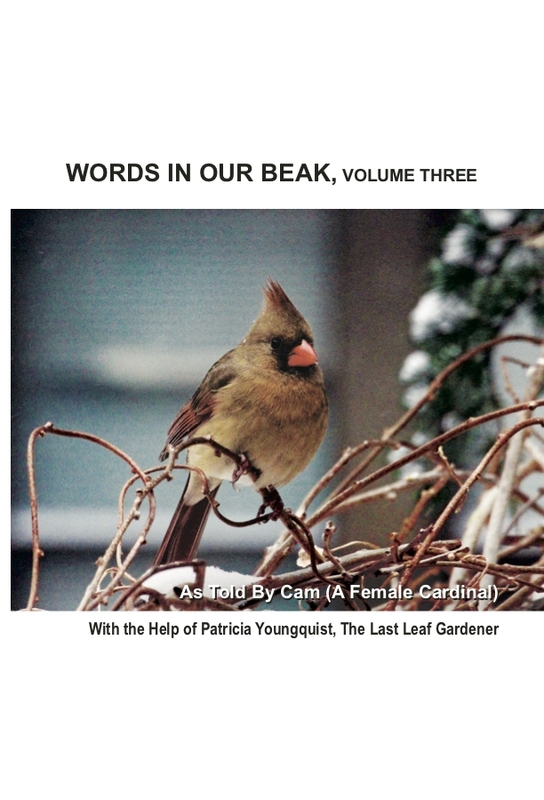 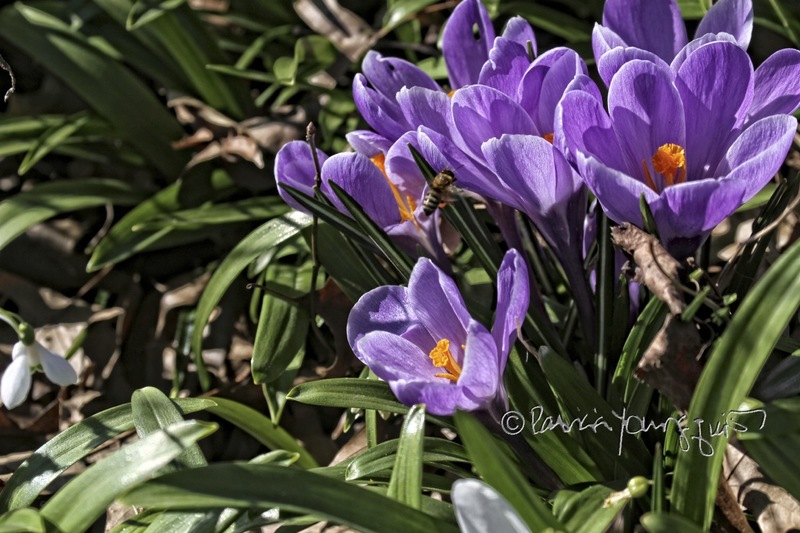 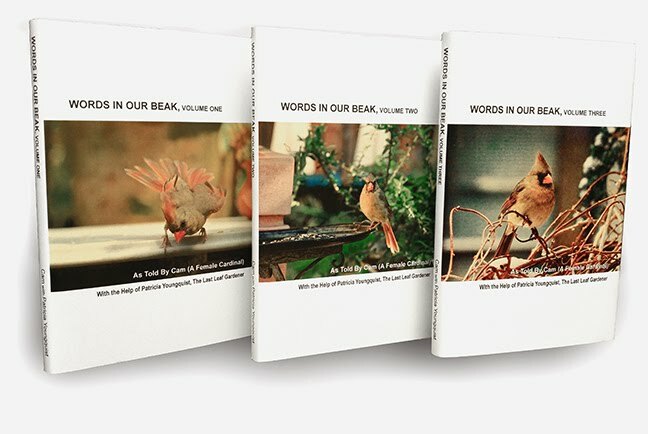 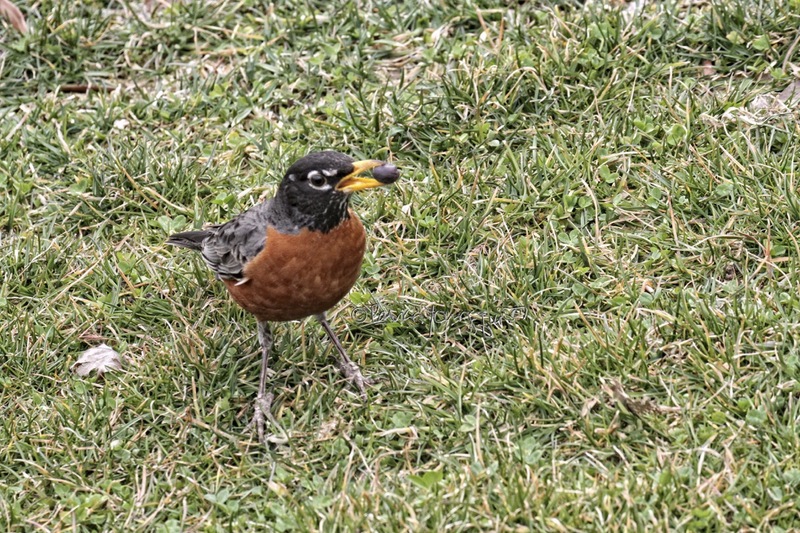 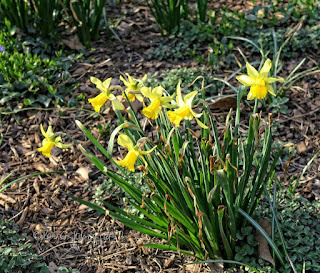 American robins, bees and crocuses are featured in my book series, Words In Our Beak, which include many aspects of nature that will lift one's spirits, even if they are in an April-is-the-cruelest-of-months doldrums. 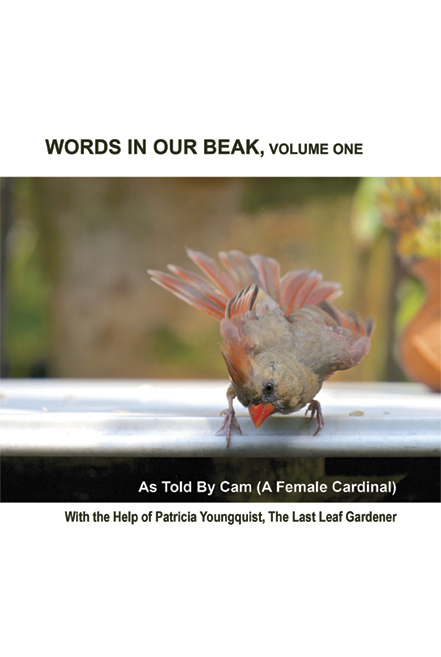 Purchase Info for Words In Our Beak.